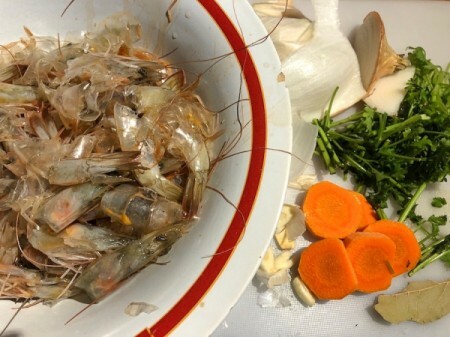 My local seafood shop sells head-on shrimp for nearly half the price of the ones already cut. 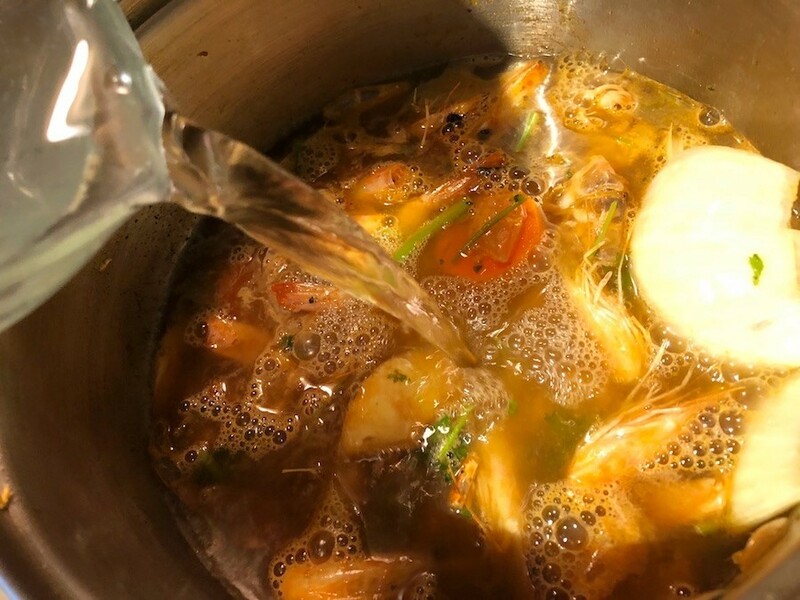 This is a plus for me because I love to use the heads, skins, and tails, along with vegetable scraps, to make my own rich shrimp stock. Not only is a homemade version more delicious, it's also so much cheaper. 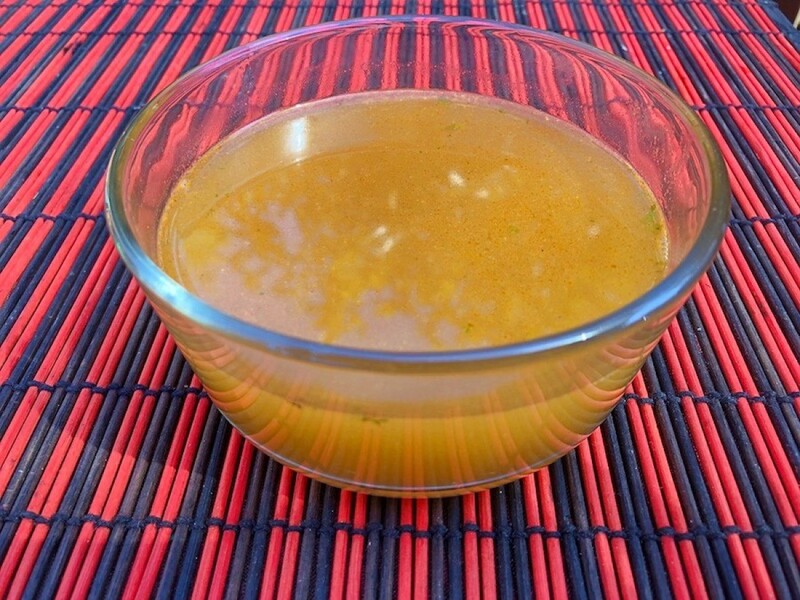 Shrimp stock is full of glucosamine, which is essential for healthy joint health. 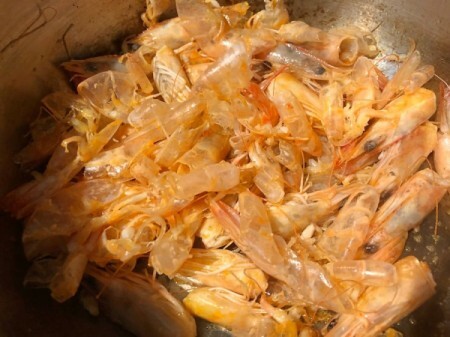 Heat oil in a large pot over medium-high heat and add shrimp pieces. Cook until they are pink and starting to brown at edges, about 10 minutes. Add remaining ingredients except water. Cook for about 5 minutes, stirring frequently. Pour in the water and scrape off all the browned bits from the bottom of the pan. 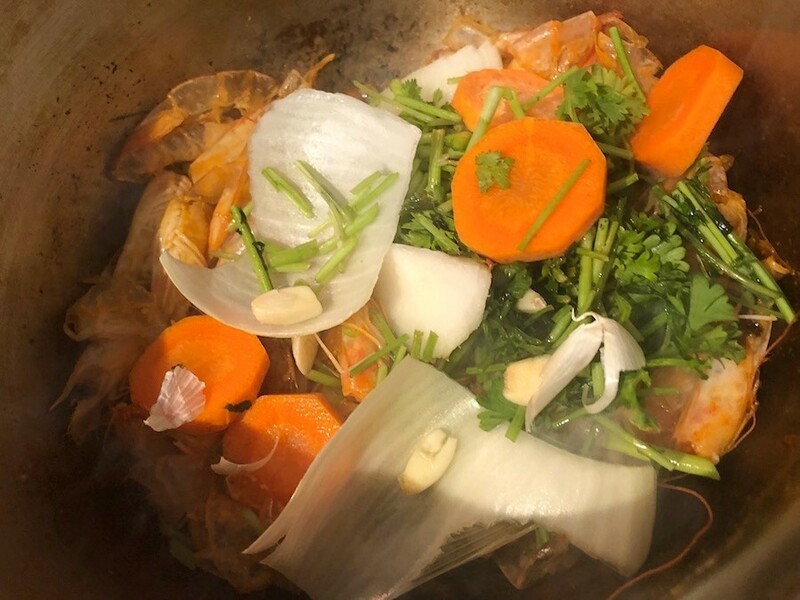 This is essential in order to develop the richest flavours. Bring to a boil, then lower heat to a simmer and cook for another 20 minutes. Strain. Use immediately or freeze.